KEN LEAP, Metamorphosis: Mind and Matter, 1999. 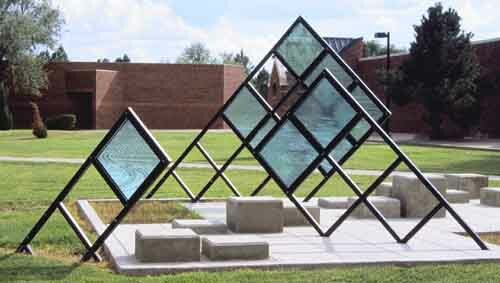 Glass, steel, and concrete, 21' x 28' x 8.5'. Eastern New Mexico University, Portales, New Mexico. View from the north.